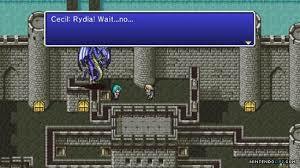 Final Fantasy IV: The After Years is a sequel to Final Fantasy IV which was originally released as Final Fantasy II in the states and is on of the lengthiest games on the WiiWare service, but does it live up to its SNES predecessor? Let's find out! The story begins many years after the end of Final Fantasy IV and has many new characters as well as plenty of familiar faces, but sadly the story is riddled with fanservice and its similarities with the original's story make the game's story feel too predictable. The new gameplay features such as the band system where multiple party members team up for devastating attacks and the new lunar cycle system that effects your party's stats depending on the current lunar phase add alot of strategy to the game! The game is long too, it takes more than 80 hours to complete 100% Though admittedly I'm at 88 hours and I still have not completed the game 100% myself. The game is very expensive however, as it'll cost you nearly $40 to download the game and all of its download content which you'll want to do if you want to play every chapter of the game's story and obtain every item and party member in the game. The Wii Mote NES style "sideways" and Classic Controller/Classic Controller Pro are the two supported controller options and both work well, however the Classic Controller feels more nostalgic since the controller layout is the same as it was for Final Fantasy IV on the SNES! The graphics in the game are slightly better than the graphics in the original Final Fantasy IV title on the SNES as the game uses the same graphics engine as the Japanese title Final Fantasy V. The characters are fairly crisp and the backgrounds during battles look fairly impressive! 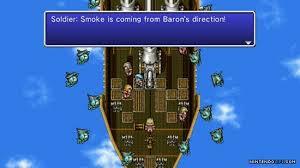 The special effects in the game and during battles are vastly improved over the SNES predecessor. The music in the game is mostly remixes of the music from Final Fantasy IV, but there are some new ones and the quality of the music is vastly improved over Final Fantasy IV's as it's almost CD quality! The sound effects are still rather basic as you'd expect, but overall the game's sound quality is superb! With fresh new gameplay elements, easy to use controls, great 16-bit graphics, and nearly CD quality music makes Final Fantasy IV: The After Years a great title for the WiiWare service, however the story, while good has way too much fanservice and is easy to predict and the price for the full game is what you'd normally pay for a retail title. If you're a fan of the series or of turn-based RPG's in general I'd suggest downloading the first portion of the game for $8 and if you enjoy it you should download the rest of the dlc, if you didn't well then you'll probably want to pass. 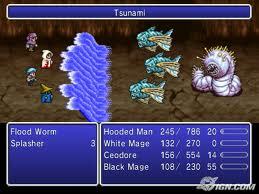 As for me I'd say this is one of my least favorite 16-bit Final Fantasy titles, but is still not bad by any means so this game gets a decent review score! Nepgear wrote: I agree with everything this review said. If the game was half as expensive then I would think it would deserve at least an 8, but for its price it is not an overly appealing title lol. Um...this is such a fun game! 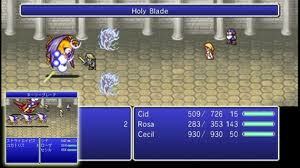 The Final Fantasy IV series is one of the best in the franchise, bar none. The After Years is a worthy follow-up to a fantastic game, albeit one I didn't play for long before I lost it.